While it was still dark outside, I prepared to leave for the next leg of my 17-day road trip adventure. I said my goodbyes to my sleepy Amarillo Airbnb hosts and hopped into the car just as the sun was breaking. 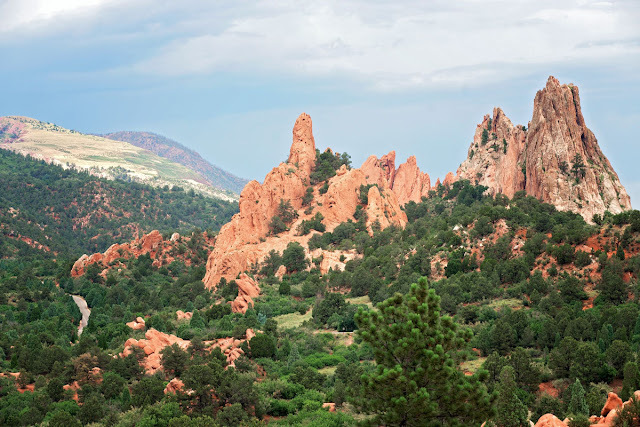 While Palo Duro Canyon was a grand site, I was excited to move on to Colorado. I traveled northwest on Highways 87 and 354 and it wasn’t long before I left Texas and crossed over into northeast New Mexico. Almost immediately the landscape changed. The contour lines of the desert began to rise towards the sky and the clouds lowered to meet them. Charming and peaceful communities were nestled in between the hills. Having no idea what this part of the country would look like, it was a wonderful and unexpected view. 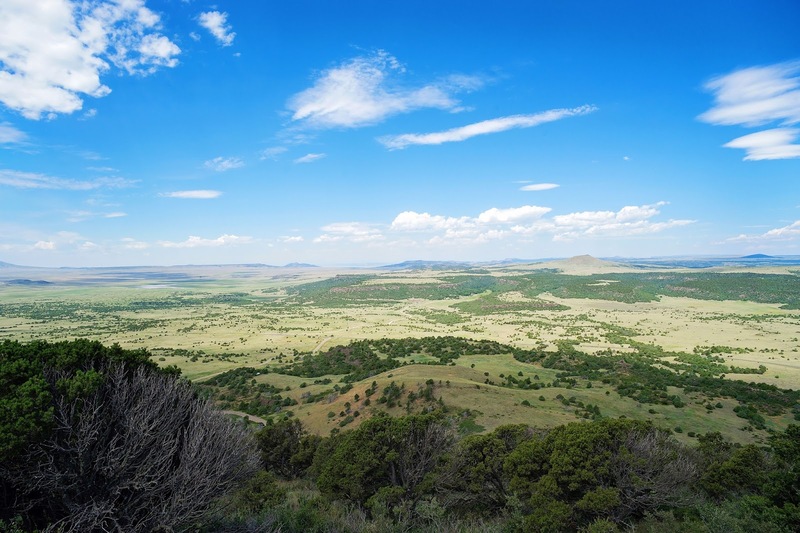 A sign appeared on the highway for Capulin Volcano National Monument. Ooh, a volcano! I turned right and drove down the path to my next adventure. At the visitor’s center I purchased a National Park annual pass hoping I would get to take full advantage of it in the next couple of weeks. The 2 mile drive up the volcano was steep and narrow and I was thankful my car wasn’t very big. There was not much wiggle room between me and the sheer drop and no guard rail. When you reach the top, you can hike the trails, walk the lava field, listen to park rangers talk about the history of the volcano or just simply enjoy the view. I chose the view. It was a perfect place to eat my brown bag lunch and rest. The landscape was quiet but majestic, full of pastel colors. My trip was definitely off to a great start. Happy that I took the time to see the volcano, I finished my lunch and continued on. Eat lunch on top of a volcano. Check. The drive through north east New Mexico was short and soon I crossed the border into Colorado. I drove north on I-25 enjoyi ng the impressive change of landscape and elevation. The Front Range of the Rocky Mountains became an ever growing presence in my view demanding my full attention. My destination was Colorado Springs and my accommodation was another Airbnb property, this time an adorable camper. It was tucked away in the forest with an amazing view of Pikes Peak. It was fully equipped with a stove top, microwave, full sized bed, bathroom…and did I mention the amazing view of Pikes Peak?? Worn out from the drive, I grabbed a chair from the porch to relax in my little courtyard. Within minutes, the locals come out to play, the furry and feathered kind. A large bunny nibbled a blade of grass mere inches from my chair. A plethora of tiny birds shared the bird feeder. I had to duck more than once as humming birds flew with purpose in the direction of my head. After a nice rest, I took a drive out of the forest. My peripheral vision was filled with movement of deer. They were everywhere. I pulled over to the side of the road when I came to a field full of Pronghorn. I got out of the car with my camera and watched them for a while. They were watching me, too. I crept up to the fence and slowly lifted my camera and as I got them into view they took off! Those animals could fly! 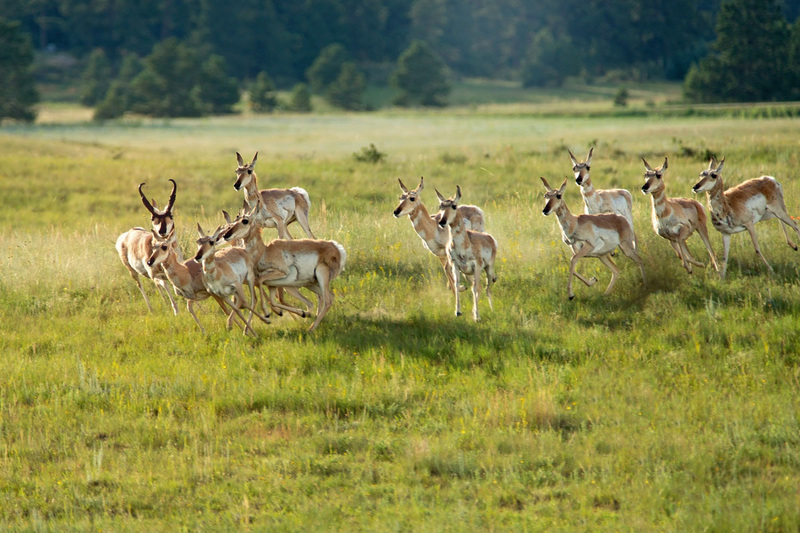 Pronghorn: The second fastest land mammal in the world. When I got back to my trailer, I made a dinner of Campbell’s soup and worked out my plans for the next day. 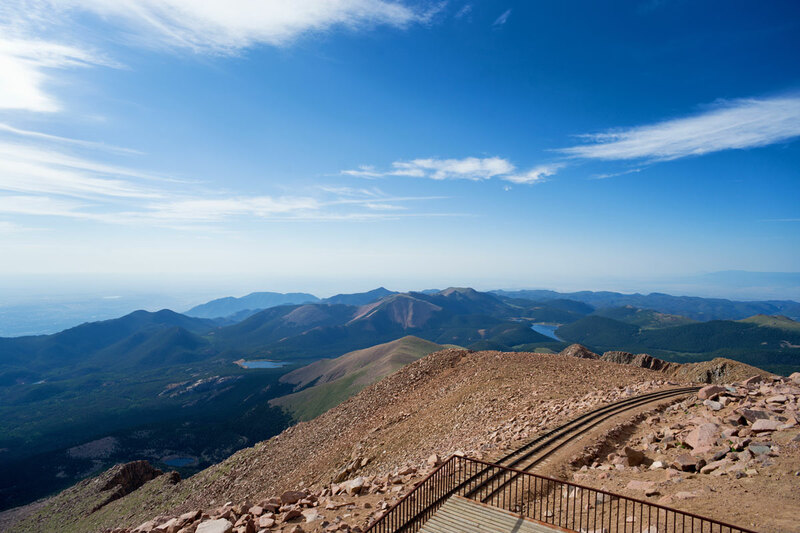 A sunrise photo over the United States’ most popular mountain, Pikes Peak, was first on the priority list. Because sunrise was at 5:30 in the morning and I wasn’t exactly sure where I was going, I set my alarm clock for 3:30. In the pitch blackness of the morning, I crept my car out of the forest and headed towards the mountains. 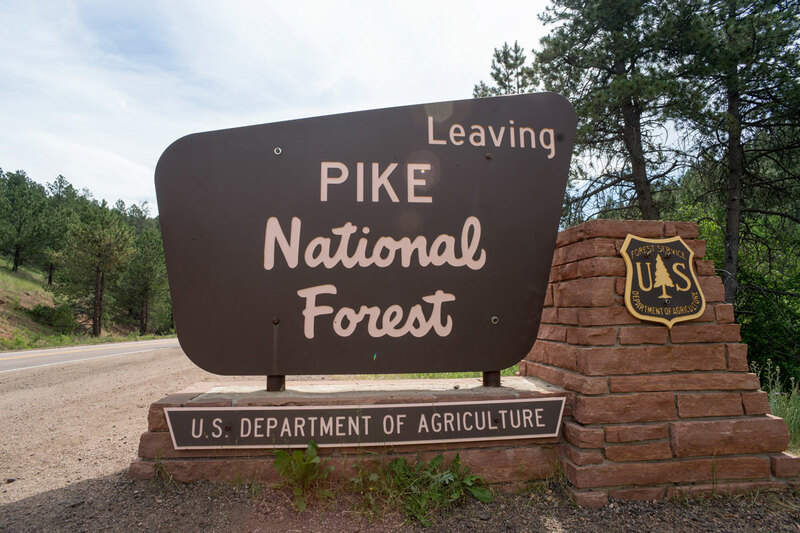 After about a 20-minute drive I arrived at the Pikes Peak entrance. There was absolutely no sign of life. The entrance didn’t open until 7:30am! Well, clearly I wasn’t going to get a sunrise photo on top of that mountain (not by car anyway.) So I drove back down Highway 24 to the historic town of Manitou Springs, parked my car and walked around the city center. It was the end of July but still very cold at 6 am so I looked for a place to get a cup of hot coffee. There was exactly one place open at that hour. 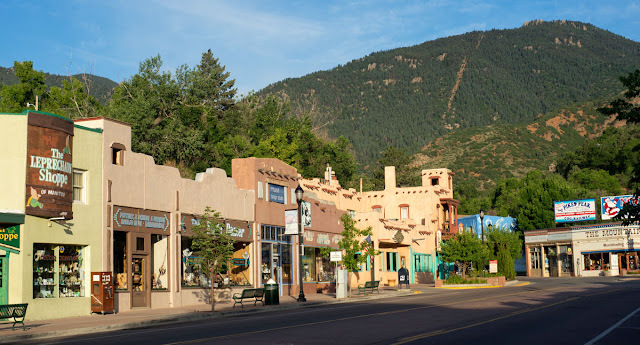 Manitou Springs might be filled with many historic points of interest but it also looked like it had been visited by one too many tourists. At 7am, I drove back up to the Pikes Peak entrance and pulled up to be first in line. When the park employees drew up the shades at 7:29 I paid my entrance fee and received my instructions. “Turn your air conditioning off going up and use lowest gear going down.” Turn my a/c off? The drive is so steep that using your a/c can actually burn up your car’s engine. 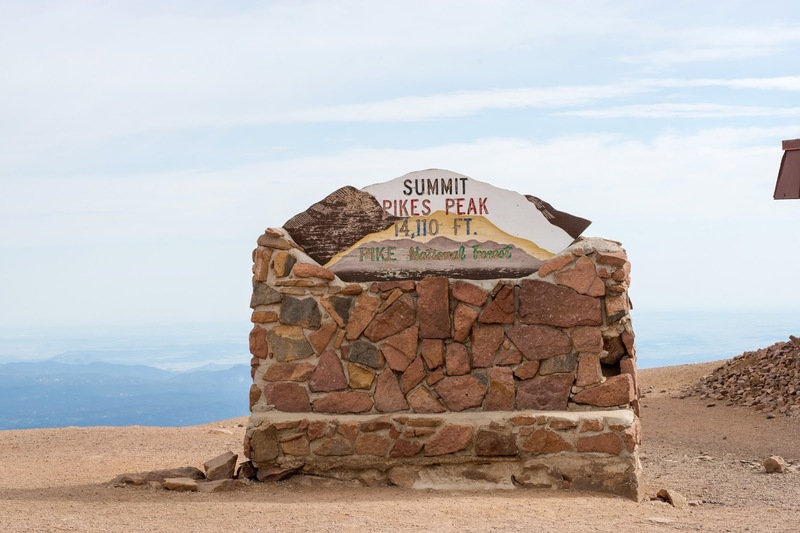 I had done minimal research on Pikes Peak but I knew a few things. I knew I didn’t want to take the Cog Train because I would have to take photos through a closed window. I knew the top is over 14,000 feet elevation. What I didn’t know was what impact that elevation would have on me. For the next hour, I drove the most interesting, scenic and scariest drive of my life! The elevation began around 7,000 feet where there were plenty of squirrels, birds and deer about. The road cuts through a thick forest of pine trees. As I got higher up the mountain, the trees began to fade to scrubbier brushes. I saw less wildlife activity but more impressive views. When I got to around 11,000 feet, the marmots appeared. These critters, and lots of them, liked to hang out in the middle of the road. 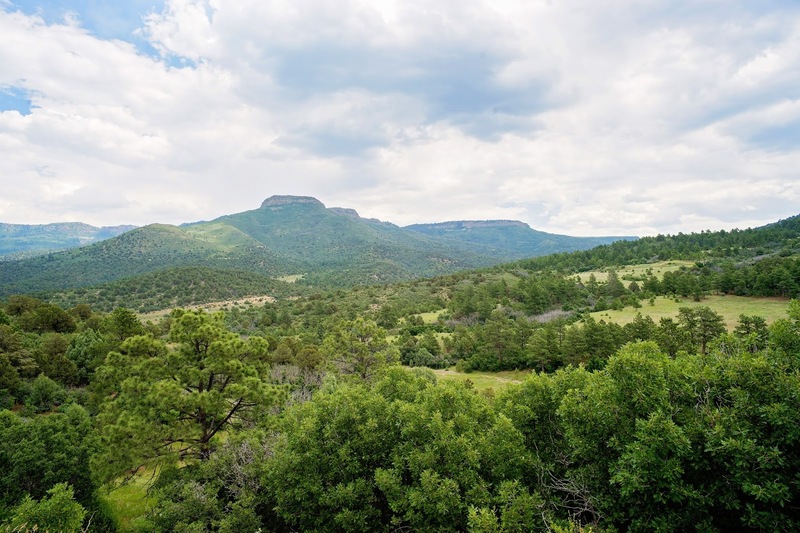 The landscape at this elevation is mostly rocky with short grass, wild flowers and few trees. There was probably a lot more wildlife I missed on the journey up, but I kept my white knuckled focus ahead of me. The drive was so steep at times I couldn’t see over the hood of my car. I felt like I was driving blind. The winding turns could be tricky at times and any mistake in judgment could have had consequences I didn’t want to think about. I was starting to feel light headed and was extremely relieved when I reached the summit. The landscape on top of the mountain was not much more than a pile of rocks. The high altitude, cold and wind make it difficult for anything to live at that elevation. I pulled into a parking space and grabbed my hiking boots from the back seat. I was beyond excited! When I jumped out of the car, I immediately saw stars and collapsed on the hood. I slowly stood and tried to walk but it felt like I was swimming through molasses. An unbelievable thirst came over me and my head pounded. A park ranger came over and recommended I go into the gift shop café, rest and drink lots of water. I sat down at a café table and massaged my throbbing temples. After about 20 minutes I felt a bit better and was determined to get my mountain top photos. I slowly swam through the molasses to make my way to the edge of the mountain top. It felt like I was in a slow motion video and about every 20 steps or so I had to stop and sit down. I was breathing like I had run a marathon. When I got to the edge it occurred to me I could pass out and fall off the mountain so I sat down on a big rock. My hands and arms were still shaking too much to get a steady grasp on my camera so I just sat there and took in the amazing view. The Cog Train approached and unloaded its first round of passengers of the day. A man with an infant in his arms walked towards me and continued on to the very edge to look out and over. I had to turn away. Why would anyone do something so dangerous with a squirmy baby in their arms?? My head cleared a bit so I slowly worked my way to each side of the mountain taking wide angle shots, then some zoomed in shots. I carefully inched my way closer and closer to the edge of the Alpine tundra. It really was something to be so high in the sky, above the clouds, with a 360-degree view of the Rocky Mountains. I will never forget that moment. My breathing was getting heavier and my head started to spin. I sent a text message to my host to ask her if my altitude issues would get any better. Her response: “No! Get down to lower elevation! It is not going to get any better because you are coming from sea level!” She suggested I go to Devil’s Playground where the views are great with a more tolerable elevation. When I started to make my way back down I got behind a guided bike tour. They were stopping every so often to take photos and look around. I decided to follow them and everywhere they stopped I stopped. The trip down was a lot more enjoyable because I could see the landscape better and was easier to pull the car over and stop. In one direction I saw many interesting sand stone rock formations and in another direction fields of wild flowers. My breathing was much better and the views much prettier than the summit. I took photos until my heart was content. The drive back down offered more opportunities for photos! In the not so far distance I saw very dark and low clouds moving in. Thinking I didn’t want to tackle the drive down in wind and rain I decided it was a good time to make my departure. I made it to the bottom just in time. That was the hardest downpour I saw on my entire trip. 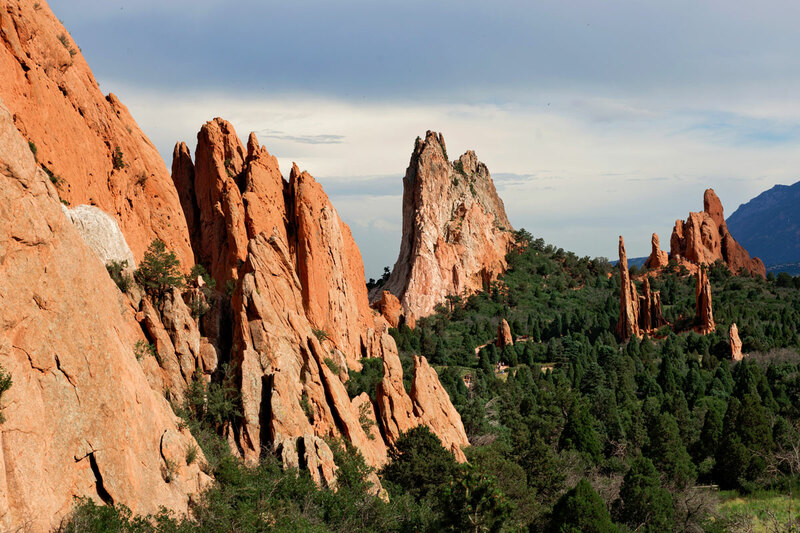 A visit to the rock formations at Garden of Gods was how I had planned to spend my afternoon. But my battle with altitude sickness has completely wiped me out. I couldn’t get back to my camper fast enough to take a nap. My new plan was to take sunset photos at Garden of the Gods. My host recommended entering the park from the back entrance and that was great advice. This place was one hot tourist destination and there was not a single place to park. So I just drove through the park stopping along the side of the road whenever I wanted to take a photo. It was a short drive so I made the loop several times. 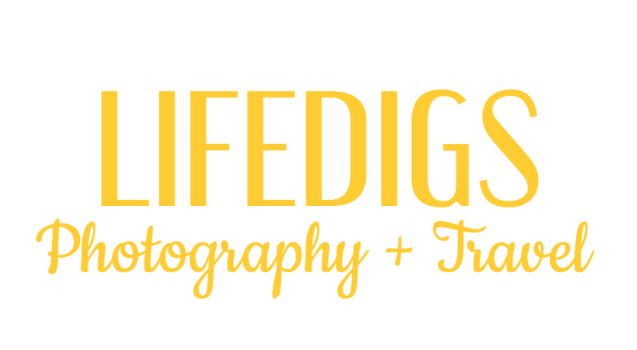 There were many professional photographers there taking photos of engaged couples and bridal portraits. 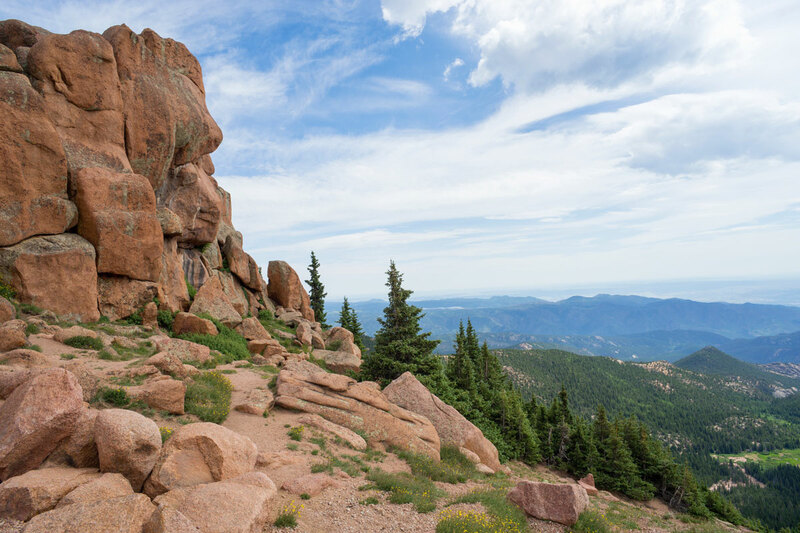 The rock formations were really impressive, especially when the view is back dropped by Pikes Peak. There are so many people there it was difficult to get an image without a tourist in it. That’s where Photoshop comes in handy. 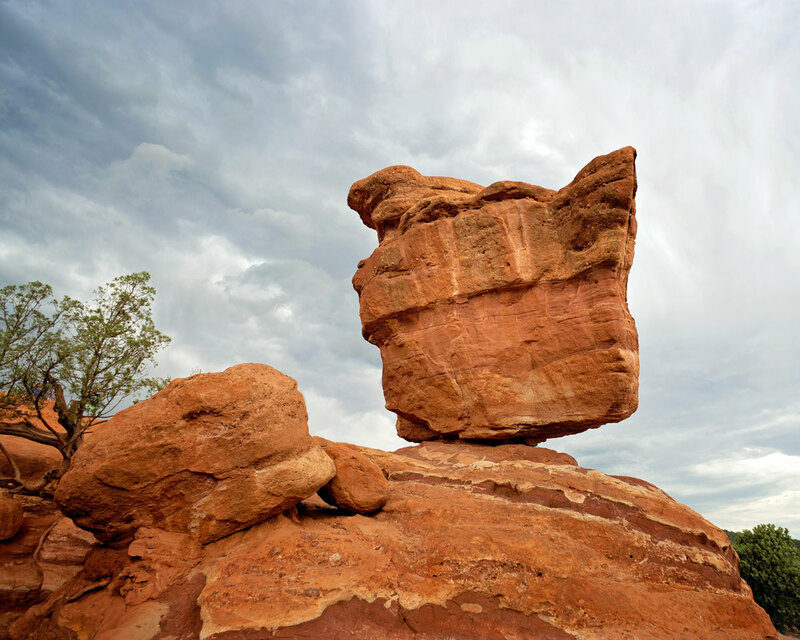 Balanced Rock is a popular spot! Feeling satisfied with my day’s work I drove home to my little piece of heaven in the forest. A storm came through in the middle of the night and rocked the camper. The wind howled through the tall pine trees drowning out almost any other sound. I hardly even noticed.